Global Warming Coming to San Francisco? The last time it snowed in San Francisco, California was 1976, I know, I was there, the lawn at Alta Plaza Park was white. It also snowed other places down very close to sea-level, like San Jose. Had I a cell phone back then I would have taken a picture of it. Since then I have seen snow in the San Francisco Bay Area, usually on the mountain tops of Mt. Diablo, Mt. Tamalpais, Mt. Hamilton, Mt. Uminhum, Loma Prieta Mountain and along the ridge tops of the Coast Range and in the hills adjacent to Livermore. One time about 10 or so years ago there was snow at the top of the grade on Highway 580 between Dublin and Castro Valley. 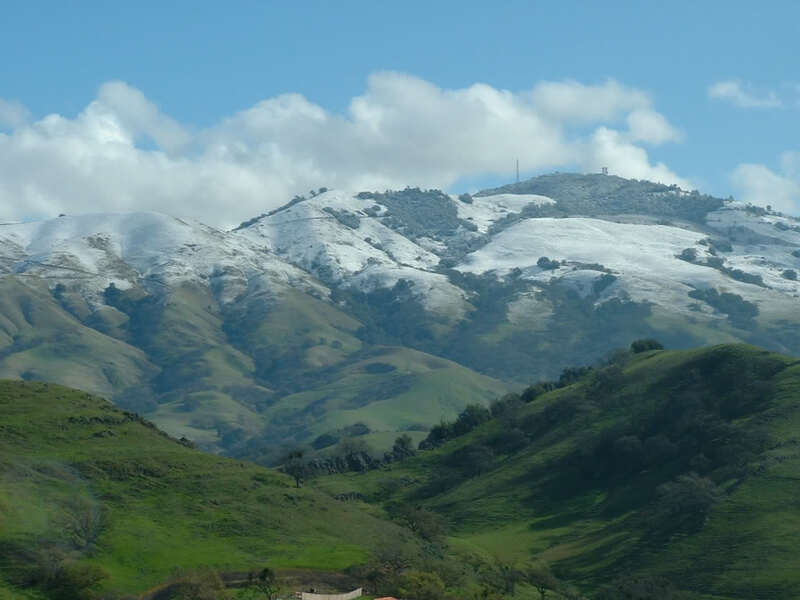 I have also seen snow on highway 680 going over the Sunol Grade between Sunol and Fremont and going over Altamount Pass between Livermore and Tracy. When I was very little it snowed down on the ground in Fremont, California in 1962. This is the only time I ever remember seeing it snowing on the flats in the San Francisco Bay Area. I remember watching my father slip on the ice in the driveway. It hasn’t snowed on the valley floor, at least deep enough to provide ammunition for snowball fights, in 35 years — since Feb. 5, 1976, to be exact. But we just might make winter history again this weekend. We’ll have to wait and see if this actually happens or not. If it does I wonder how long it will take someone like Al Gore or Joe Romm to blame the weather on global warming that causes freezing? I call BS on that because per the San Francisco Chronicle it’s snowed plenty of other times right in San Francisco proper, long before anthropogenic global warming was a thought and long before Al Gore was even born. You can read more about this at the two sources below. Comments Off on Global Warming Coming to San Francisco?